For wine lovers, there’s nothing as exciting as a European river cruise combined with wine tasting, wine education, and of course, gourmet food. 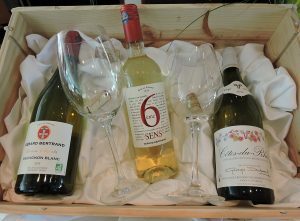 Tasting wine in the South of France had long been on our bucket list, so when we heard about a wine cruise down the Rhone River, sailing from Lyon, we booked our tickets immediately. Here’s a brief description of this week-long wine cruise, with our advice on how to get the most from your first wine-themed cruise. Our cruise down the Rhone River, accompanied by four American winemakers who served wines from 12 American wineries, was much smaller and more intimate than ocean cruises. There were only 150 passengers. Our days went like this: after spending our mornings touring local towns and cities, we returned to the ship to enjoy the beautiful, ever-changing scenery as we floated down the Rhone. We slipped through narrow locks, tasted marvelous wine, and became “wine experts” in the afternoons. The winemakers represented the Petaluma Gap, a recently designated American Viticultural Area (AVA) in California’s Sonoma County. 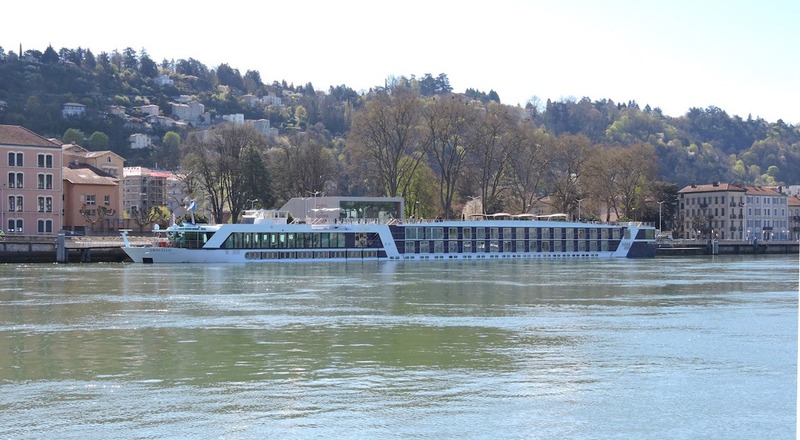 The vintners specialize in making Rhone-style blends, so cruising the Rhone wine region was as exciting for them as it was for us to have onboard Rhone wine experts. These friendly winemakers hosted four wine tastings featuring Petaluma Gap wines. 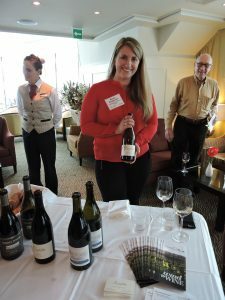 Pam enjoyed the chardonnays because they’re her favorite, and Gary loved the syrahs—and we both enjoyed the two pinot noir tastings. The winemakers each hosted a dinner over the course of the week, pairing their wines with authentic regional dishes prepared by the ship’s chefs while educating us on the soil and vineyards where the grapes were grown, the wine-making process, and, sometimes, their own personal stories. In addition, we tried plenty of local wines from the Northern and Southern Rhone Valley. We also visited a Beaujolais winery, where we were shown wine-tasting techniques by a local winemaker. 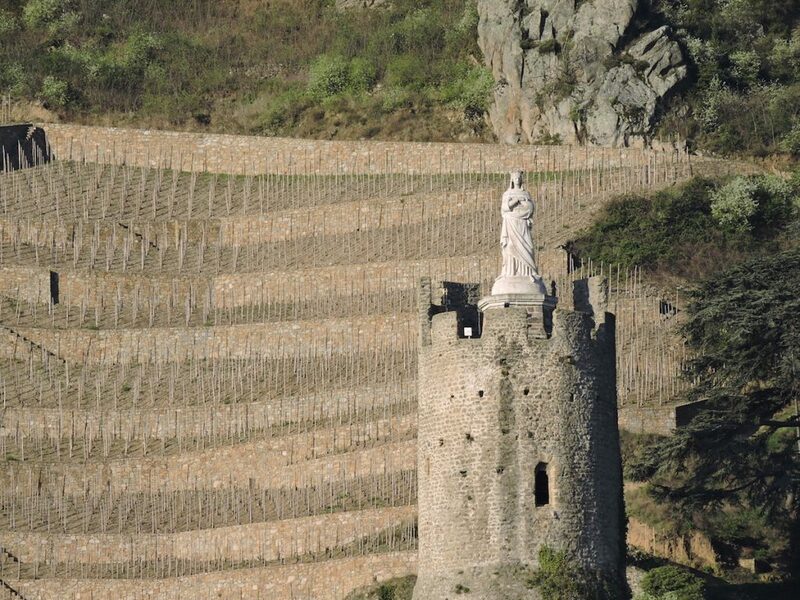 We tromped through the terraced vineyards of Tain l’ Hermitage, learning more about the grape-growing process in the region’s rugged hillsides. On another tour, we visited the renowned Chateauneuf-du-Pape region, where the rocky soil seemed like an unlikely environment for grapes to thrive. Other daily excursions included strolling through medieval villages and exploring ancient Roman ruins at UNESCO World Heritage sites like Avignon. We rode bikes along the Rhone, learned how to cook Provence-style, and visited Arles, where Vincent Van Gogh lived, painted, and went mad. Here’s our advice on how to get the most out of your wine cruises. Bring friends. It’s more fun with two or three or four friends tagging along. If you don’t have any fun-loving, adventurous friends – don’t worry. Gary says, “wine makes friends” and you’ll find plenty of other fun-loving people on board. We loved the easy camaraderie of like-minded passengers. Pick a place you’ve always wanted to visit and see if it offers a wine-themed cruise. There are plenty of them, from Amsterdam to Basel; the Mekong River; Alaska to Vancouver, B.C. ; the Pacific Northwest; the Society Islands in the South Pacific; even the Mississippi River. We used Expedia Cruise Ship Centers to book our cruise on AmaWaterways. 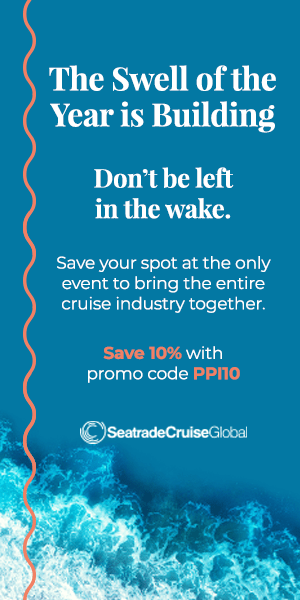 There are plenty of other companies offering wine cruises, including Viking River Cruises, Avalon Waterways, Scenic, UnCruise Adventures, and Uniworld. Talk to the winemakers. They love talking about their wines, how they grow the grapes, wine making, wine tasting, and what brought them to the profession. They’re passionate and interesting. We were delighted that two winemakers on our cruise were women, a growing trend. Anna was born into the family business, while Erica fell in love with wine making in college and now, just barely out of college, is running the winery with her mom. Evan, another winemaker, is a former Pixar executive who got tired of the rat race. And Doug, who produces small batches of wine, was one of the trip’s main organizers. Prepare for your wine cruise. Taste the wines ahead of time. 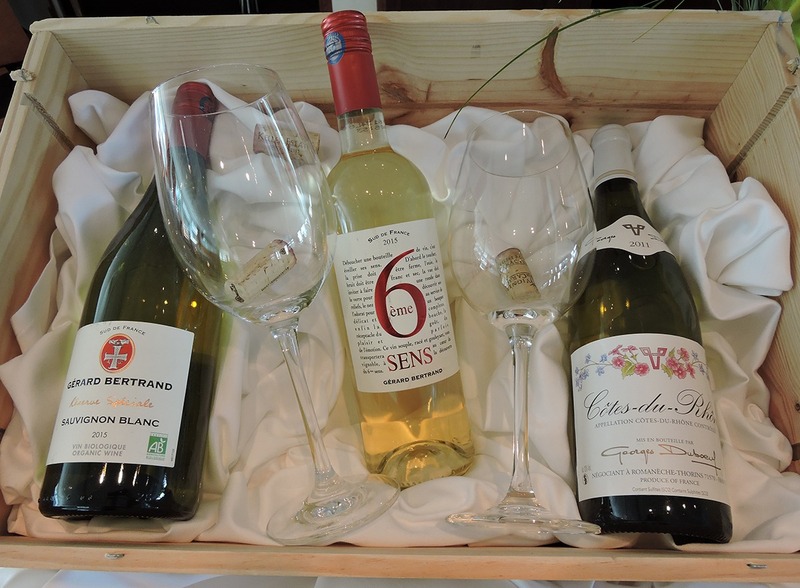 If you’re going to the south of France, sample some Rhone blends before you go. We had a French-themed dinner with our travel partners before we left Sacramento. It was a blast and gave us a chance to talk about our travel planning. And most importantly, have fun! You’ll be talking it about for years! Expedia Cruise Ship Centers offers wine-centric cruises hosted primarily by California and Washington wineries. Check out winecruisegroup.com to see if your favorite winery has a cruise coming up. Pamela and Gary Baker are freelance writers based in Northern California. They have written for regional, national and international magazines, newspapers and websites. To read more of their stories, visit PamandGaryBaker.com. What a great article! I’ll be sure to follow this advice when I’m planning my wine cruises in the future!